The film, which has been in the making for sometime now, is finally slated to hit the screens next week. Choreographer-actor Raju Sundaram will be seen as a serial killer in the upcoming film Yaanum Theeyavan, directed by Prashanth G Shekar. The film, which has been in the making for sometime now, is finally slated to hit the screens next week. 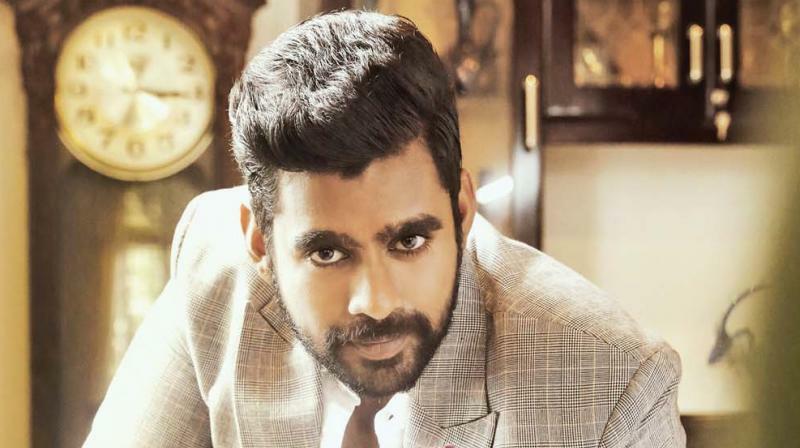 The male lead, Ashwin Jerome, reveals more about the thriller in a freewheeling chat with us. “I wouldn’t call Yaanum Theeyavan as a path-breaking film — it is a good film, based on a real-life story. It is about a serial killer, who leaves no trace. Raju Sundaram master plays the character,” Ashwin begins. “Director Prashanth sir is quick when it comes to filming the sequences. Having worked under director Hari sir, it is quite obvious that he is fast and efficient,” Ashwin opines. The film has Varsha Bollamma, who is known for her roles in Vetrivel and Sadhuran, as the female lead. Music director Achu of Urumeen fame has composed the songs and the BGM.